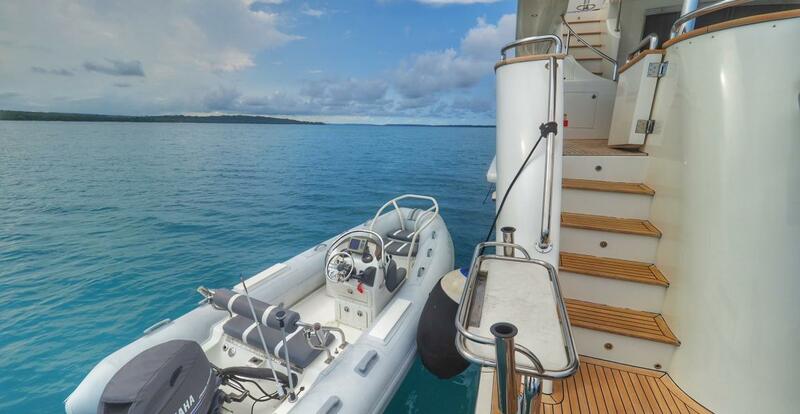 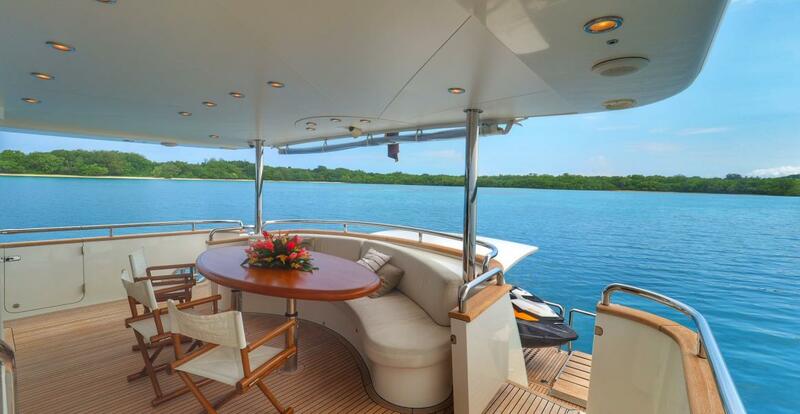 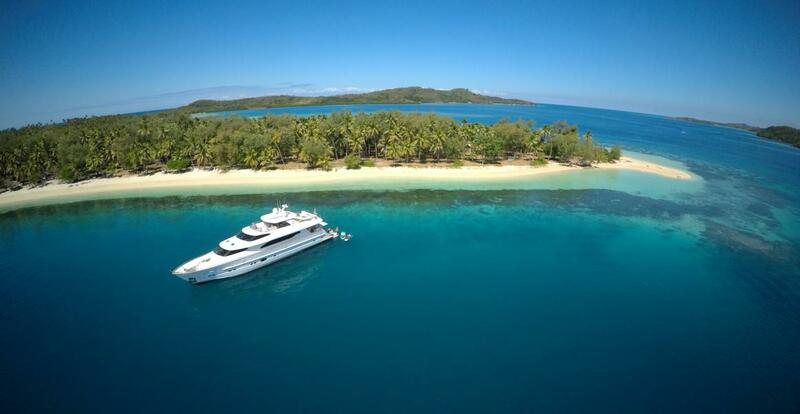 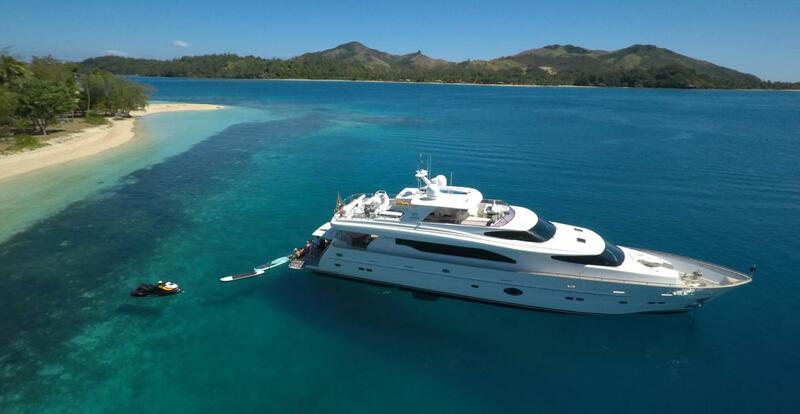 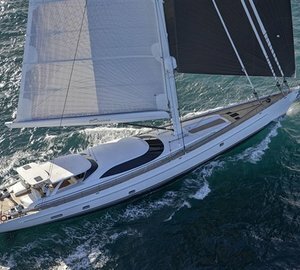 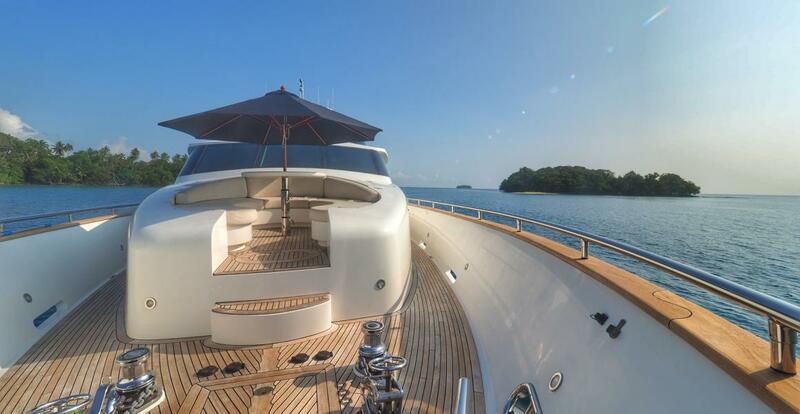 Motor yacht ENCORE is a 30.00 metres (98' 5") crewed luxury vessel offering charter vacations in the South Pacific. 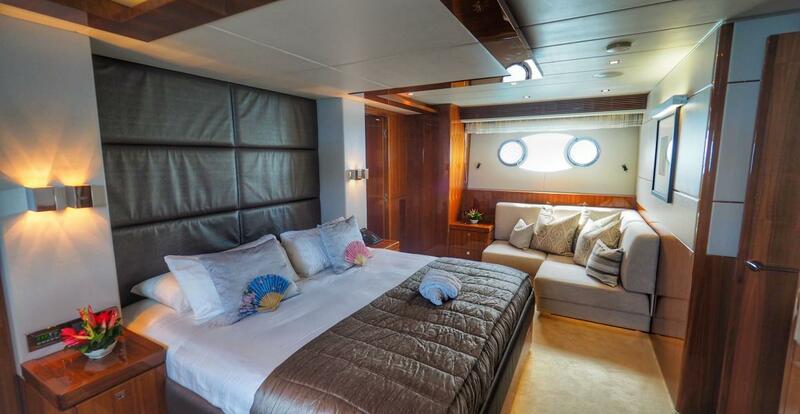 She was built by Horizon Yachts in 2011 and refitted in 2017, with accommodation for up to eight guests over four inviting cabins. 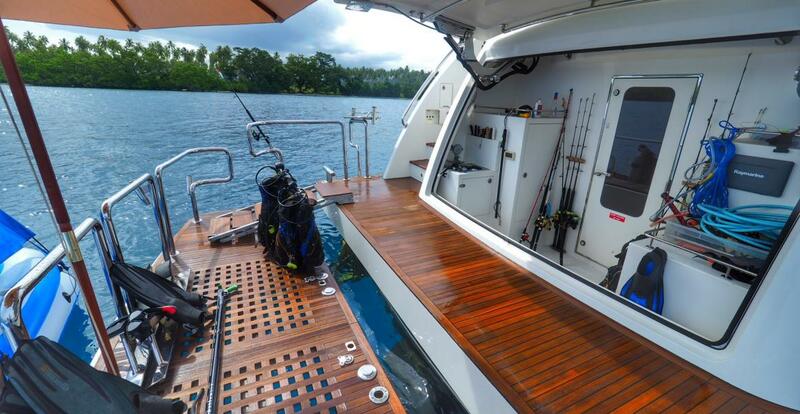 Her professional crew of four ensures everyone on board has a fantastic time. 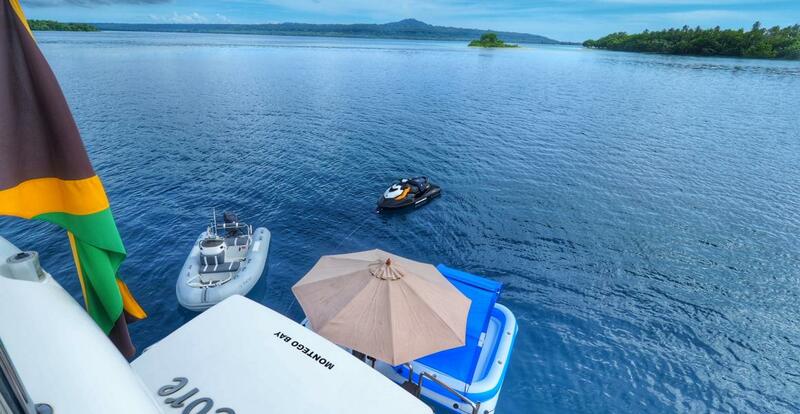 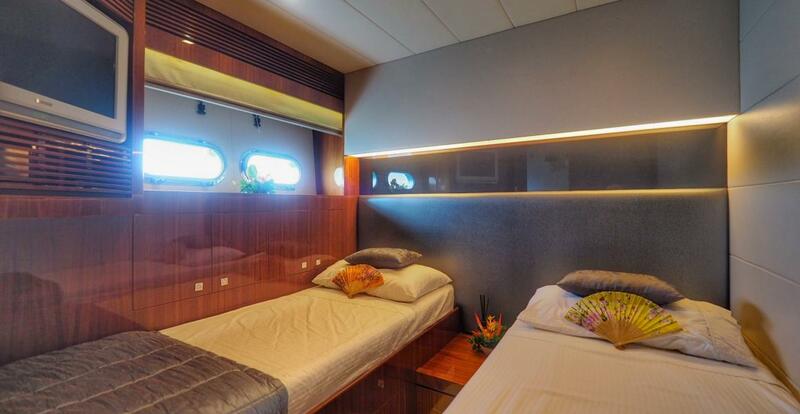 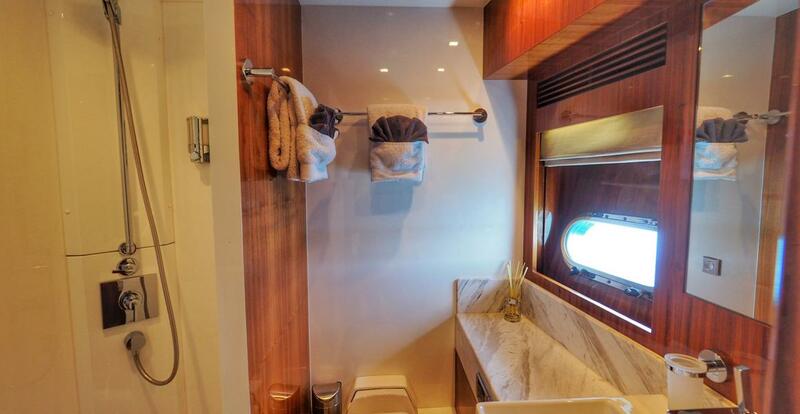 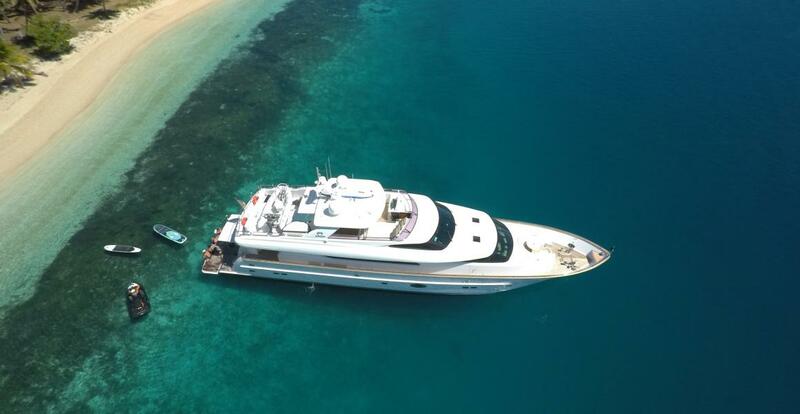 The sizeable swim platform can be used for sunbathing and spreading out with the water toys, and after a swim, guests can dry off and dine on the main deck aft, where a sofa and raised dining table line the stern. 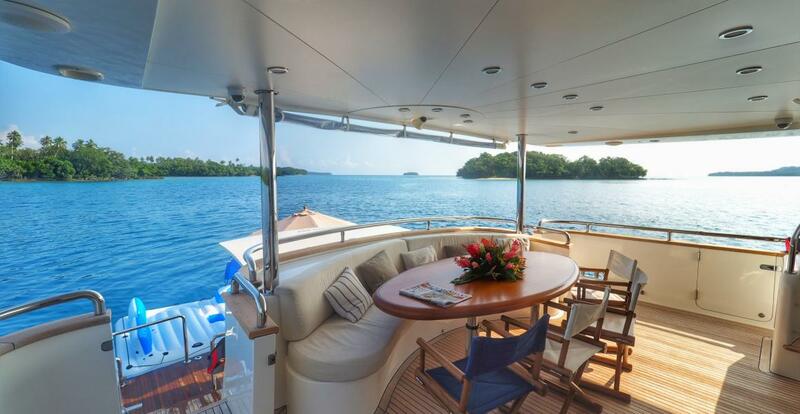 On the foredeck, a curved sofa takes in the uninterrupted views and this area can be shaded by a sun umbrella for all-day outdoor relaxation. 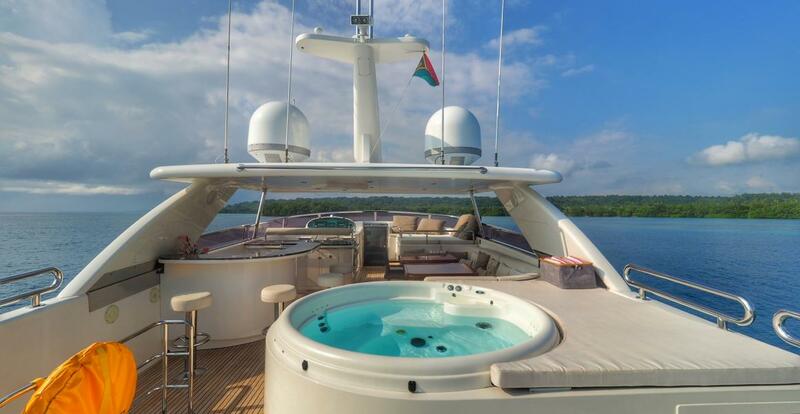 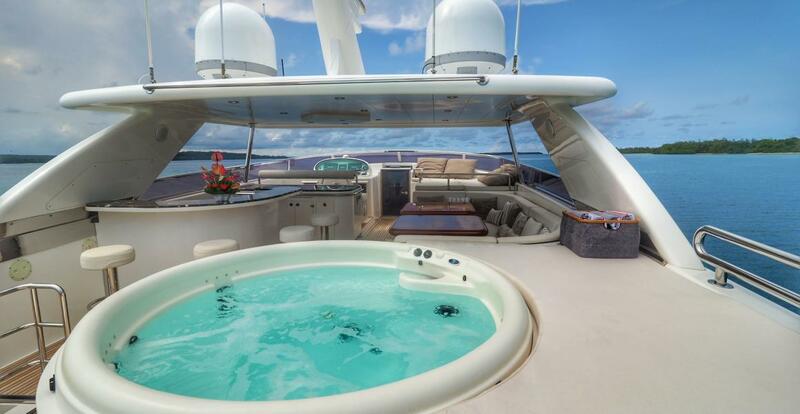 On the sundeck, there is an inviting circular Jacuzzi attached to a double sized sunpad to the aft, with the shaded amidships area fitted with a wet bar and alfresco dining/lounging area. 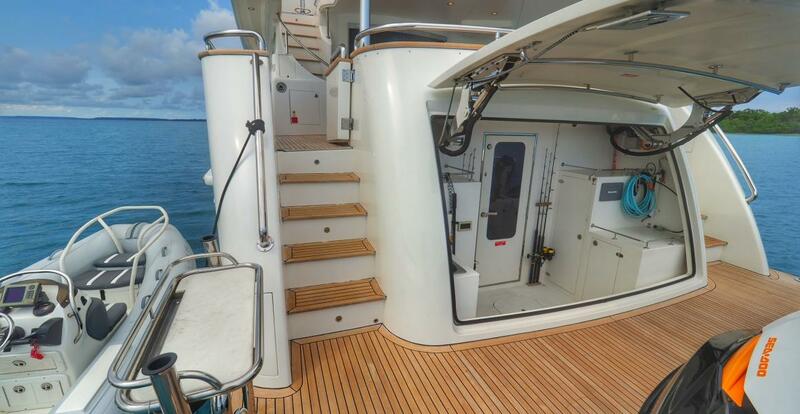 The forward section places the helm controls to port and to starboard there is another comfortable double sunpad. 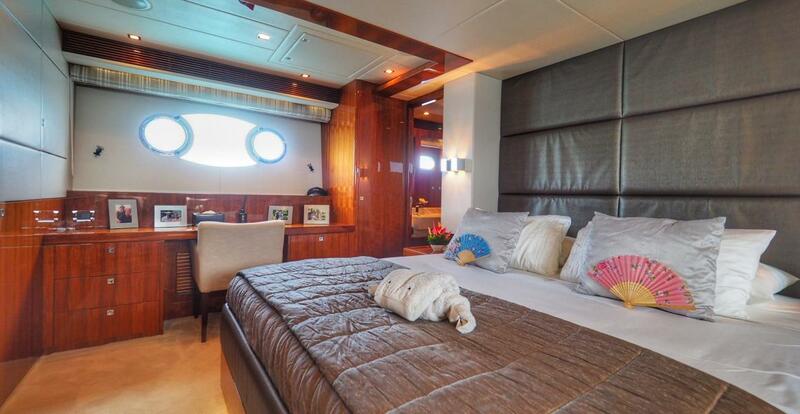 The lower deck contains the guest and crew accommodation as well as storage for the water toys to the stern. 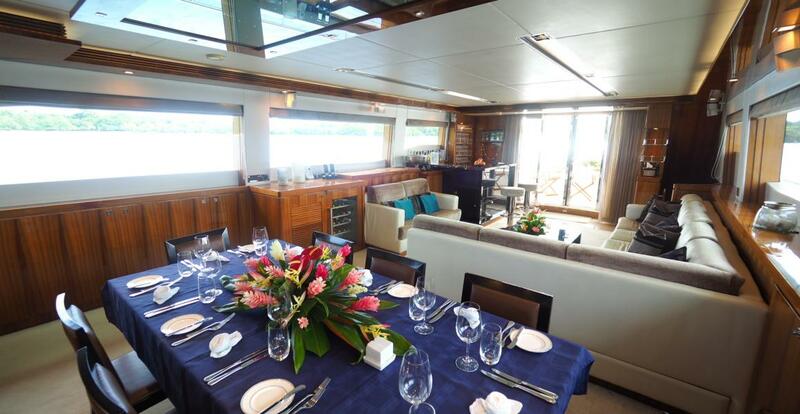 On the main deck, the sizeable open-plan interior places the salon to the aft and the formal dining area forward within the same space. 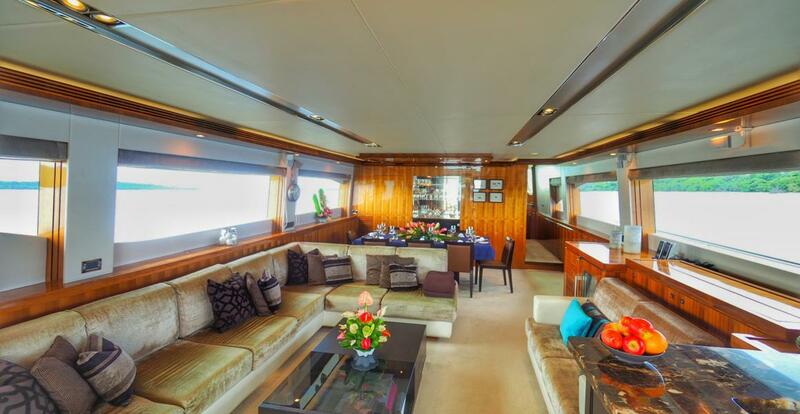 The lounge consists of a corner sofa along the port side that divides the room between meals and entertaining. 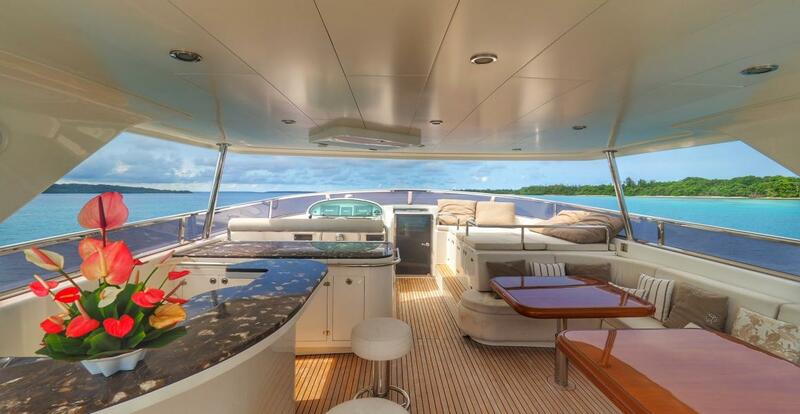 The aft starboard corner contains a well-equipped wet bar and a wine chiller for plenty of drinks to serve guests at dockside events. 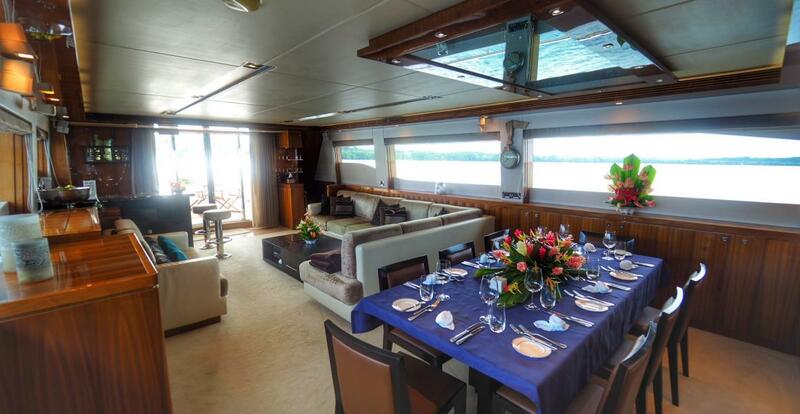 The formal dining area seats up to 10 guests with plenty of natural light from the windows to either side as well as spotlights and a starry ceiling above. 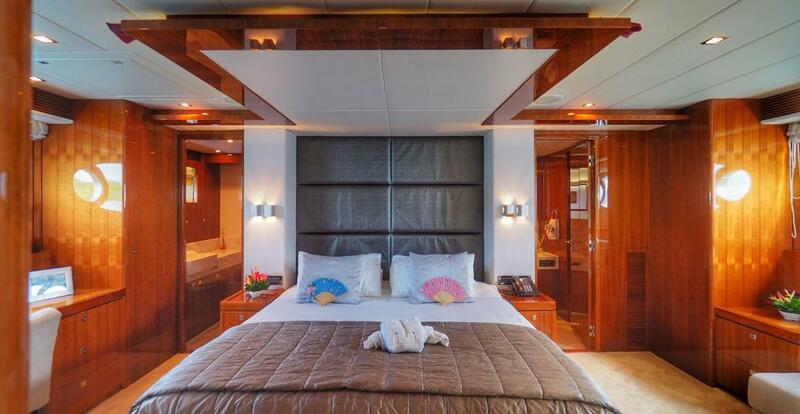 The accommodation sleeps a maximum of 8 guests across 4 en-suite cabins: 1 Master suite, 1 VIP stateroom and 2 twin cabins convertible to doubles. 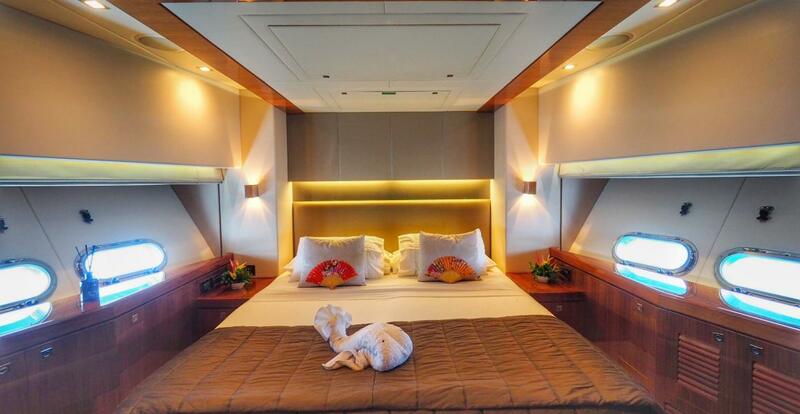 The crew of 4 will be on hand to ensure that every guest receives the first-class service. 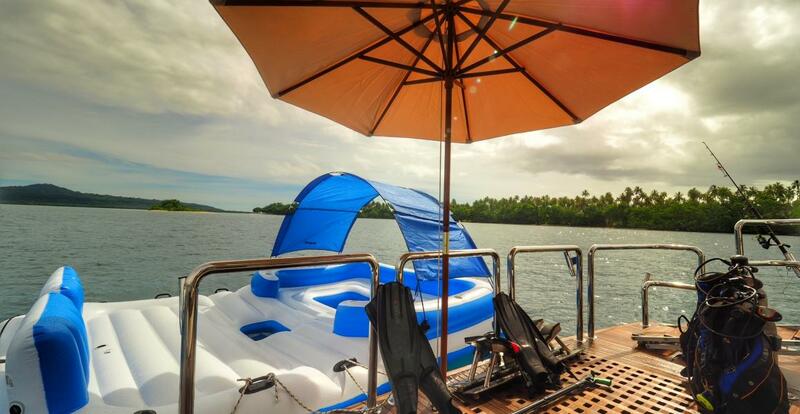 Tenders & Toys ~ 14ft Nautica with Yamaha 60HP outboard ~ Seadoo Jetski ~ 2 x Paddleboards SUP ~ 2 x SeaDoo Scooters ~ Scuba Diving Equipment for 5 ~ Dive Compressor ~ Wake Board ~ Water-Ski, ski tube, water skis ~ Snorkelling and Fishing Equipment Communications: ~ SAT phone, 4G internet (only within cell phone range), VOIP phones, boat mobile phone, VHF radio ~ Audio Visual Equipment and Deck Facilities ~ Collection of various DVD’s and series loaded onto our media server ~ Over 10,000hrs of movies and tv series ~ Over 2000hrs of music ~ 9 TVs in total, 1 in each cabin with surround sound and option for guests to stream onto their own devices anywhere on the vessel.